Asim Kurjak, MD, PhD currently serves as Professor of Obstetrics and Gynecology at Medical School Universities of Zagreb and Sarajevo. He is the Rector of DIU Libertas International University. He received his medical degree from Medical School University of Zagreb in 1966. From 1971-1972 as a British scholar he was a research assistant at the Institute of Obstetrics and Gynecology, University of London. In 1974 he became a specialist in obstetrics and gynecology and in 1977 he got his PhD degree. In 1980 he was made Full Professor. From 1985-2002 Dr. Kurjak served as Head of the Department of Obstetrics and Gynecology, Medical School University of Zagreb, Sveti Duh Hospital. Dr. Kurjak has published over 450 papers in peer review literature. His papers have been cited 5350 times in Science Citation Index. He has authored, co-authored or co-edited 111 books. 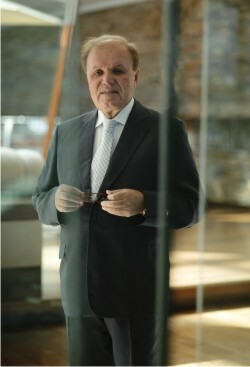 He is a regular fellow of World Academy of Art and Science, European Academy of Sciences and Art, International Academy for Human Reproduction, Italian Academy of Science and Art of Reggio Puglia, Academy of Medical Sciences of Catalonia, Academy of Science and Art of Bosnia and Herzegovina; honorary member of American Institute of Ultrasound in Medicine and Biology; and foreign member of Russian Academy of Medical Sciences. He is vice-president of International Academy of Perinatal Medicine and director of Ian Donald Inter-University School of Medical Ultrasound. He received a doctorum honoris causa from the Universities in Banja Luka, Budapest, Barcelona, Bucharest, Montevideo, Athens, Moscow and Tomsk. 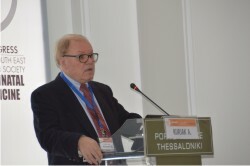 Dr. Kurjak received numerous awards and honors.